Samoana is frequntly heard throughout Samoan language and even a song that describes Samoa itself. Other interpertation of "Samoana" are that it is made up of "Sa" sacred , and "Moana" the ocean due to the deep respect of the ocean by the Samoan people. 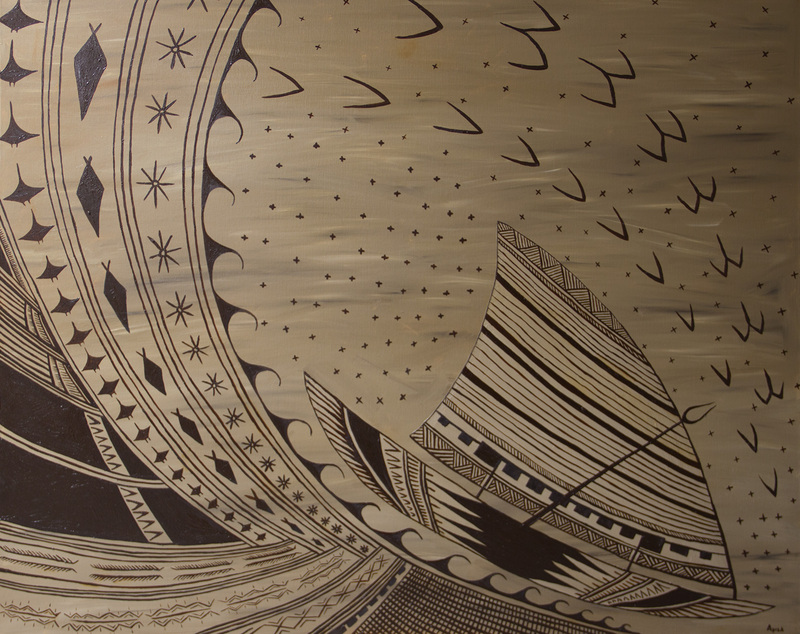 Samoana pictured above is an orginal oil painting that uses the patterns of the Tatau Samoa in a narrative composition.